How Many Friends, Fans, Followers… Does a Freelancer Really Need? In recent months, a number of articles and posts have been published about the fake Twitter follower market. I’m not sure which publication started the discussion about fake followers, but you can learn some details about it from this infogaphic published in the post “How to Get a Million Twitter Followers by Christmas” published on Inc. by Judith Ohikuare. Basically, the discussion addresses the practice of increasing your Twitter follower count by purchasing followers. Fake social media posturing is not just limited to Twitter, either. Apparently, you can also buy Facebook fans and connections on other social media accounts as well. In this post, I examine this trend as it pertains to freelancers. I’ll address the question of buying connections and discuss whether it has value for the typical freelancer. At the end, I encourage readers to chime in with their own opinions. If you enjoyed this post, you probably also like this post on online networking, 3 Quick and Easy Ways to Network Online that You Probably Don’t Really Use. 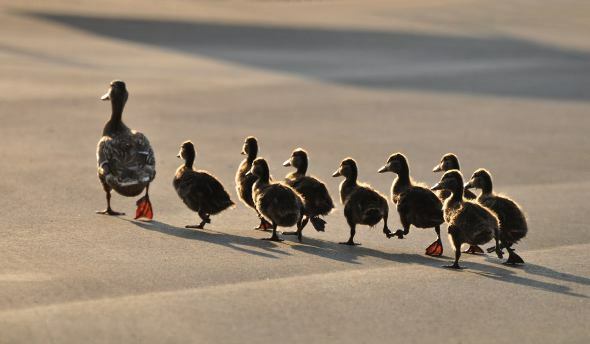 Will Buying Followers Help Your Freelancing Business? That is the question you really need to answer if you’re think about bolstering your social media accounts with fake followers. Will the sheer number of followers that I have bring me more business? Will the number of followers help me to build relationships? What type of followers am I likely to get if I increase the numbers artificially? There are some freelancers who may benefit by claiming a huge number of social media connections. There are people who are impressed by such things. And a huge number of connections may lead some to believe that you are a more proficient user of social media than you actually are. But most freelancers find clients by building relationships. Social media is just a tool to that end. You can find more pros and cons of buying Twitter follwers in Megan Marrs’ piece on WordStream, Buying Twitter Followers: The (Cheap) Price of Friendship. I still maintain that the best social media connections are those that you acquire organically. Organic connections are the ones you make with people who follow you because they know you are or because they are interested in what you have to share. These are also the people who are likely to become your future friends or clients. Most of us who have been actively using social media for a while know that you can’t personally interact with every connection every day. But you can interact in a meaningful way with at least one person almost every day. Actually, it’s surprising how many relationships you can make by using social tools. The real purpose of social media, besides sharing information, is to build relationships. And freelancers definitely benefit from stronger relationships with their clients and prospects. So, How Many Social Media Connections Do I Need? Can you put an exact number on how many connections freelancers should have? Is there even an exact number? I don’t think so, although others have tried. A few years ago, the idea of 1,000 True Fans became popular online after Keven Kelly introduced it on his blog, KK*. There were even posts written on other blogs on how to get 1,000 fans. A lot people focused on the number, 1,000. But I think that those who focus on the number have the wrong idea. Actually, I think that the focus should have been on the word “true.” After all, true relationships are what freelancers should be building. What’s your take on the fake connections issue? How important do you think it is for a freelancer to have a high number of friends, fans, or followers?